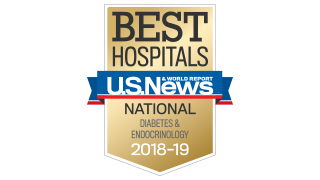 UT Southwestern Medical Center is ranked in the nation’s top 25 best hospitals for diabetes and endocrinology care according to U.S. News & World Report for 2018-19. 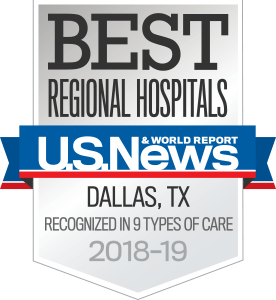 UT Southwestern Medical Center is widely recognized as a leading clinical and research center for the accurate diagnosis and effective treatment of conditions related to the endocrine system. A complex collection of hormone-producing glands, the endocrine system controls basic body functions such as metabolism, growth, and sexual development. The system consists of the pituitary gland, hypothalamus, pancreas, adrenal cortex, thyroid gland, parathyroid glands, and gonads.